Mongoose OS ESP32-PICO-KIT breakout was designed by Espressif Systems specifically for the AWS Pop-up Loft Dedicated to Espressif. 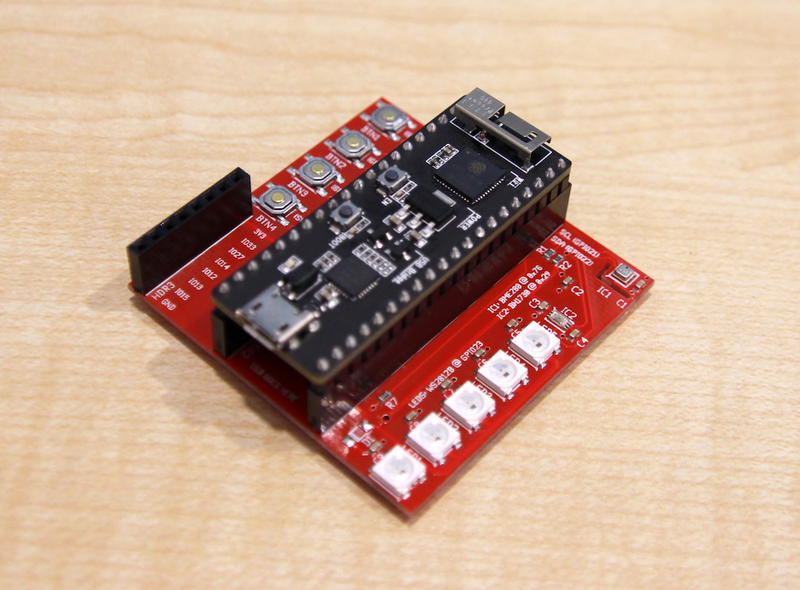 It provides a quick way to start IoT development on ESP32. 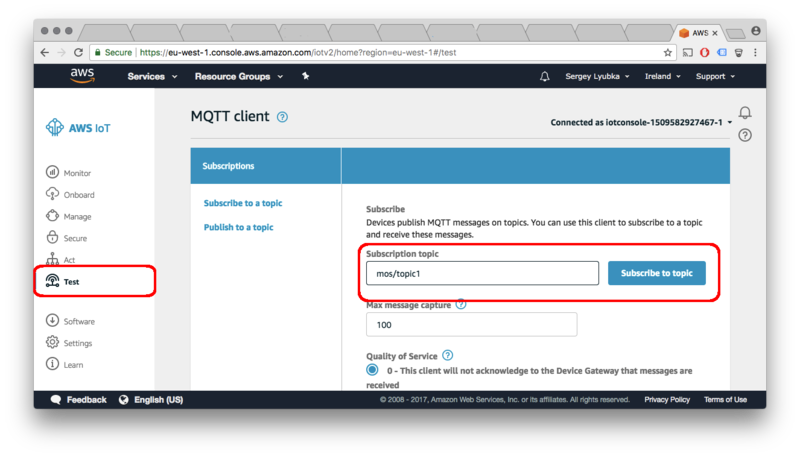 In this tutorial we are going to write a button handler which publishes a message to AWS IoT MQTT service on a button press. 1. In the Web UI, click on "Device Files" tab. Click "Refresh File List" button. Click on init.js file to open it. 3. Open AWS IoT console, click on "Test" link on the left hand side. 4. Subscribe to mos/topic1 topic. 5. 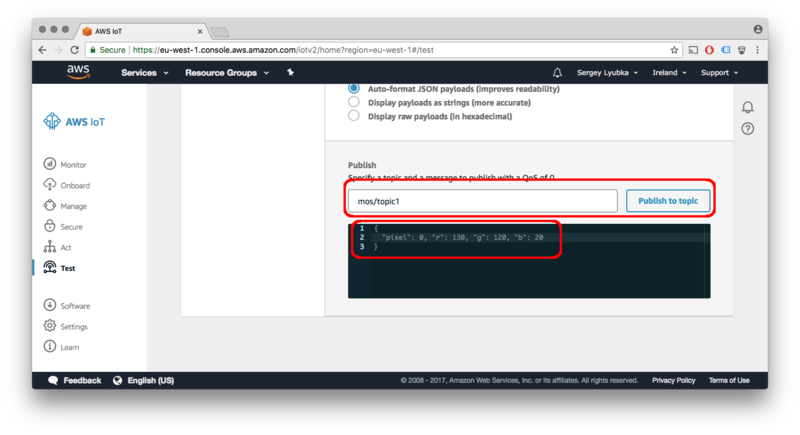 Press BTN1 button couple of times, see messages appear on the AWS IoT console. In this tutorial, we will use a timer to read measurements from the light sensor BH1730 and send those to the AWS IoT service every second. 2. 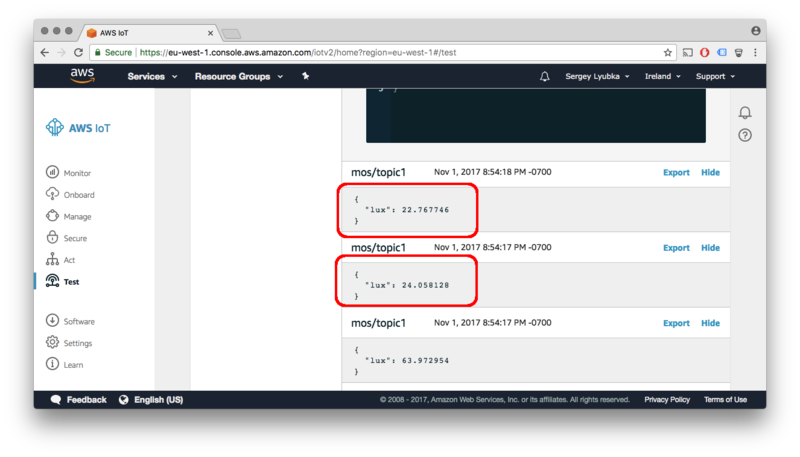 Open AWS IoT console, see JSON messages with light sensor measurements appear. In this tutorial, we add a second sensor to our existing code. The new sensor is the BME280 that reports temperature, humidity and pressure. 2. 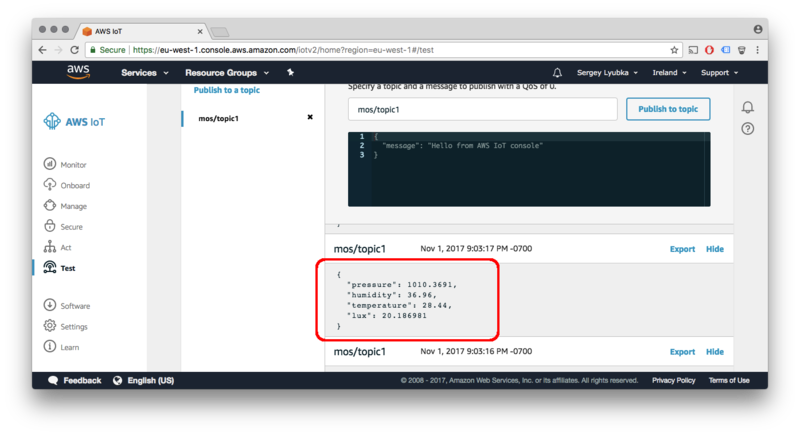 Open AWS IoT console, see JSON messages with sensor measurements appear. In this tutorial, we will light up RGB LEDs remotely via AWS IoT. The device subscribes to an MQTT topic mos/topic1 and waits for MQTT messages with control commands. 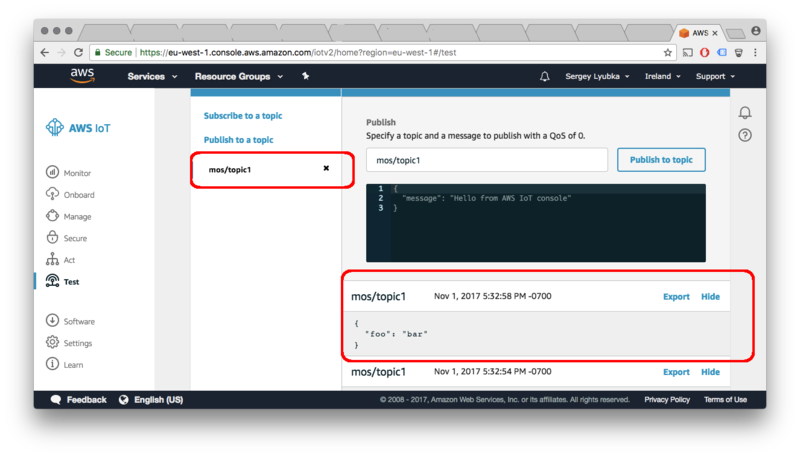 We are going to send those commands via the AWS IoT MQTT console. 3. See how LED lights up. Play with different values for pixel, red, green, blue.